Fresh, seasonal, pesticide and chemical-free vegetables and fruits area available for CSA members each week from May through October. 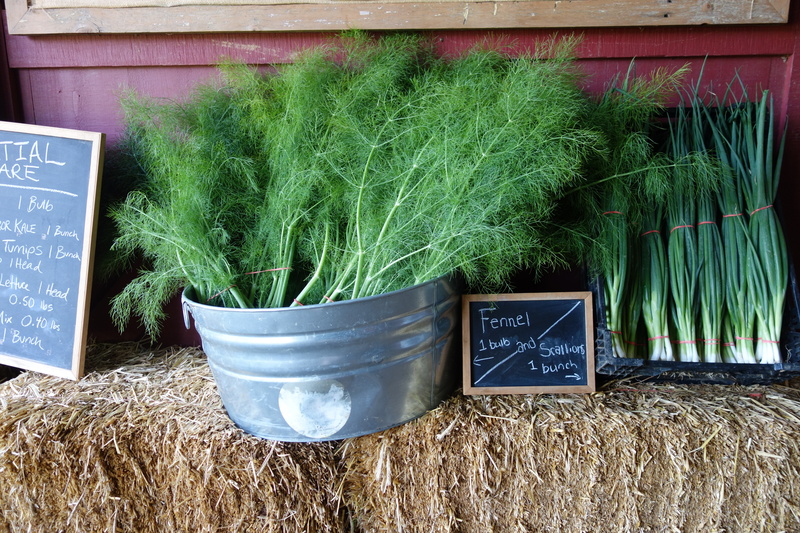 Members come to the farm each week, enjoy the beauty of the farm, walk the fields and chat with the farmers if they want, pick up their share, and harvest some of the pick-your-own herbs and flowers if desired. 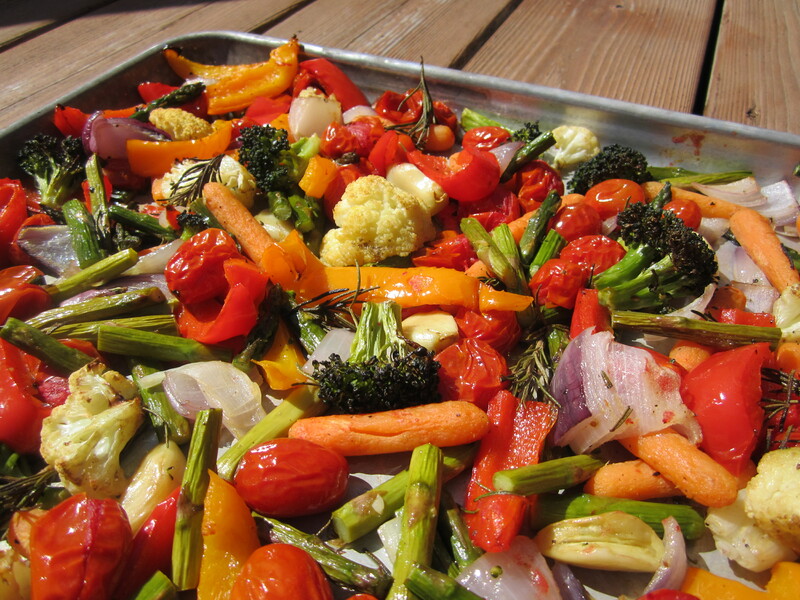 Members clean, chop, and get creative at home with their Rushton Farm produce, and enjoy. Fred de Long, the Trust's Director of Community Farm Program. I already know I want to join - how do I do that? We have a several years long waiting list. To get on the list, send email to csainterest@wctrust.org. CSA stands for Community Supported Agriculture. The CSA model is one in which people wanting to become members pay an up-front price that entitles them to a weekly portion of whatever the farmers are harvesting for a set number of weeks during the growing season. This provides farmers with a guaranteed income in the beginning of the season to purchase equipment, seeds, and any other up-front costs associated with farming. Being a member of a CSA also means that you will share the risk inherent in farming with the farmer – in the unlikely event of minor or major crop failure due to weather or disease, the farmer will still receive an income, and you may receive a smaller harvest that season. Likewise, if there is a boomer crop one season, members will accordingly receive a “boomer” share. The CSA enables individuals and families to have a fresh source of locally grown produce and to support the local economy, and to know where their food is coming from and who is growing it. 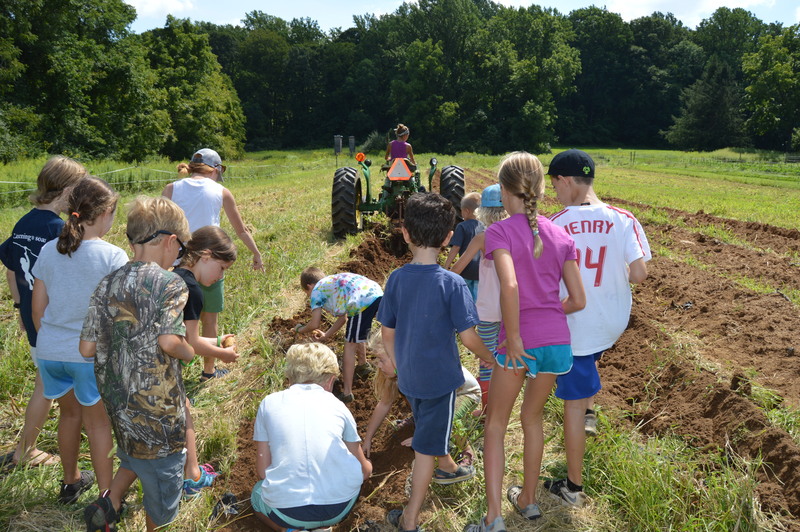 The Rushton Farm Community Farm Program is a Program of Willistown Conservation Trust, a non-profit land trust working to protect the rural beauty of the 28,000 acres surrounding Willistown, Pennsylvania. The Trust is dedicated to permanently protecting countryside from development and inspiring in people a lifelong love of the land and the natural world. Rushton Farm follows agroecological principles. We are dedicated to supporting the surrounding ecosystem by adding to it rather than detracting from it. By growing a diverse variety of crops, we are able to support larger and broader bird populations as well as small mammal populations. We choose to try and work with the birds and critters in our area instead of against them. If you want to support agriculture that adds to rather than detracts from the local ecosystem, you should become a member of Rushton Farm. 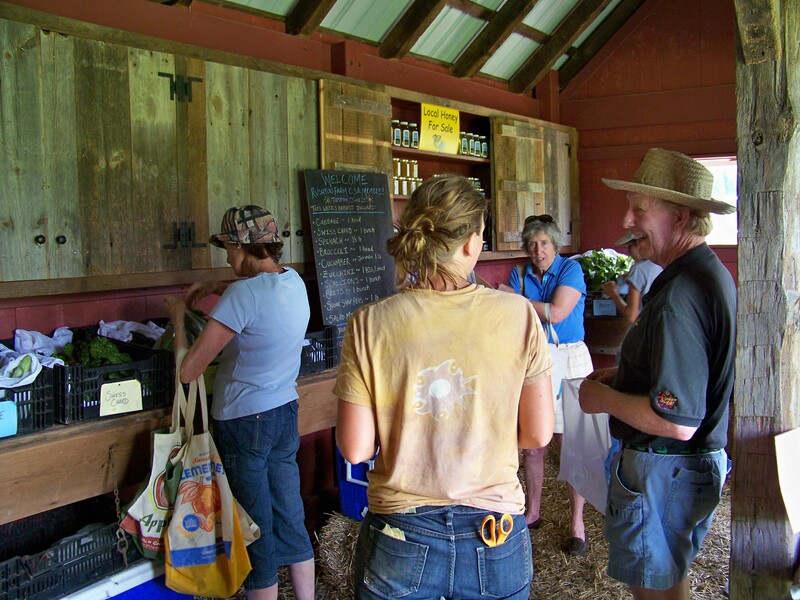 CSA members also support small-scale local farmers and the local economy. As a member, you most often receive more vegetables than you are literally paying for. Young families enjoy using their weekly trip to the farm as a teaching opportunity for their children to learn where food comes from. They also enjoy being able to feed highly nutritional ecologically-friendly produce to their children. CSA members get to learn what “in-season” means because they will receive crops when they are able to grow in our climate (peas in spring, tomatoes in summer, etc.). A full share costs $850 for the season. We encourage people who want a “partial share” to find another person/family to share with and alternate pick-up weeks with them. We do not help with the details, but encourage you to find someone to share with on your own. The season runs for 24 weeks, beginning the week of Memorial Day and ending 24 weeks later (usually the first week in November). Where and when are pick-up locations? CSA members pick up their produce weekly either Tuesday or Friday anytime between 2-7 pm at Rushton Farm. Rushton Farm is located in Newtown Square on Delchester Road just south of the intersection of Goshen and Delchester Roads. Our property number is posted on our signpost as 911 Delchester Road (If you’re using Google maps, 1050 Delchester Road in Malvern, and mapquest knows it as 911 Delchester Road in Newtown Square). Pick-up days remain the same throughout the season for each member and are determined prior to the season starting. No. We desire to have our membership within easy driving distance of our farm (local) and to be able to interact with our members and have them enjoy the farm property as well as pick their own herbs, flowers, cherry tomatoes, raspberries, and hot peppers. What is the size of a share? The share is designed to be large enough for a family of four, a couple who likes to eat veggies, or an individual who wants to preserve. What will be in a share? Every week we send the Wild Carrot via email to our CSA members listing the items in the share that week. It also includes farm happenings and musings from the staff. Spring: lettuce, beets, peas, carrots, arugula, kohlrabi, turnips, radishes, spinach, broccoli, cabbage, scallions, kale, salad mix, swiss chard, pac choi, napa cabbage. Summer: tomatoes, zucchini, peppers, green beans, basil, eggplant, cucumber, okra, fennel, watermelon, cantaloupe, potatoes, celery, garlic, hot peppers, onions. Fall: kale, broccoli, carrots, beets, sweet potatoes, arugula, winter squash, cabbage, pac choi, napa cabbage, turnips, lettuce, salad mix, swiss chard, Brussels sprouts, onions, radishes, leeks, celeriac, kohlrabi, potatoes. 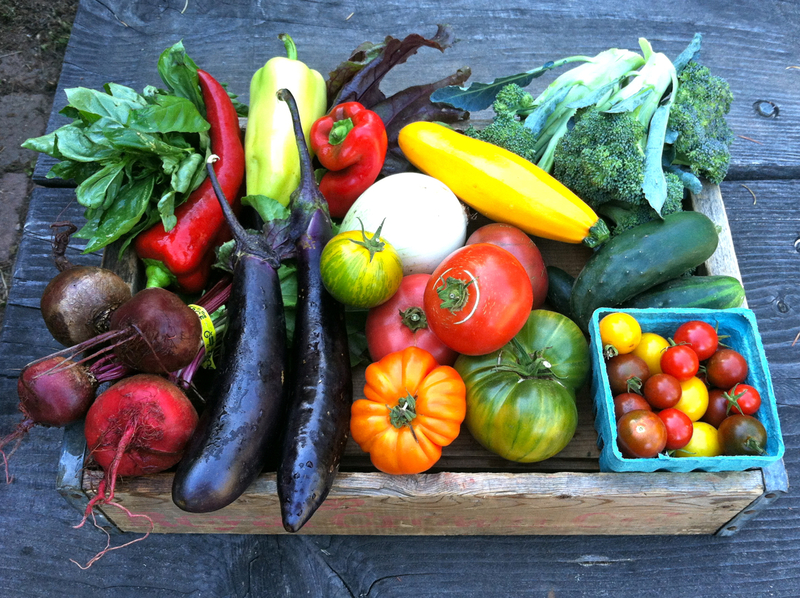 A July share might include: 6 eggplant, 5 pounds tomatoes, 1 pound bunch of beets, half pound cherry tomatoes, three quarters pound beans, 3 onions, 1 bell pepper, 2 pounds potatoes, 1 head celery, 2 zucchini, 1 bunch basil, one bunch scallions, 1 head garlic, 1 bunch swiss chard, and 1 head lettuce. We do not grow sweet corn based on the space requirements and difficulty of growing it organically. What happens if I miss a pick-up or am unable to pick up my share? Unfortunately we do not have enough staff to accommodate requests to adjust individual pick up times on a week by week basis because of your vacation, a forgotten pick up, busy schedule, etc. We encourage you to find a neighbor, friend, or relative to pick up and enjoy your share if you are on vacation or unable to come to the farm. If you cannot do this, we donate any extra produce to the West Chester Food Cupboard. We strive as a farm to donate 10% of everything we grow to a local food bank during the season. Can I choose which items I get in my share? No. Your share is predetermined for you by the farmers based on what is ready to be harvested that week. If you don’t like certain things, you can choose not to take them and they will be donated to the food cupboard the next day. However, we do take member preference into consideration while planning our planting schedule and we try to grow what most people like. We highly value the opinions of our CSA members. We grow our produce using organic and agroecological principles, but are not certified organic. 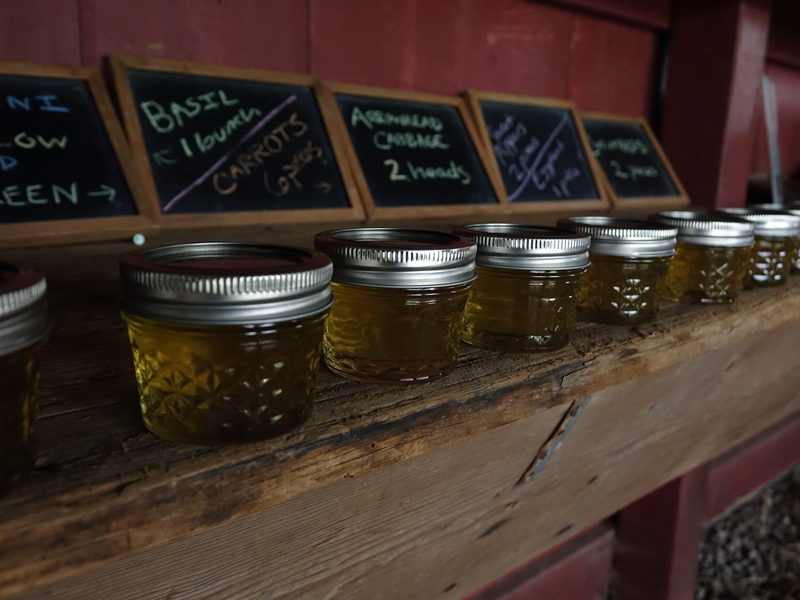 Certification requires certain fees that are difficult for a small farm like ours to commit to. What is my commitment to the farm/participation requirement? Show up once a week to pick up your vegetables, spend some time picking your own flowers and any other you-pick items. We do not require any volunteer work/time commitment, but we do have opportunities if you do want to volunteer. Any Wednesday from May through August, you are welcome to come join us in the fields anytime between 9am and 4pm. We also look for volunteers to help as “meeters and greeters” in the share room on pick-up days as people are coming through collecting their vegetables. 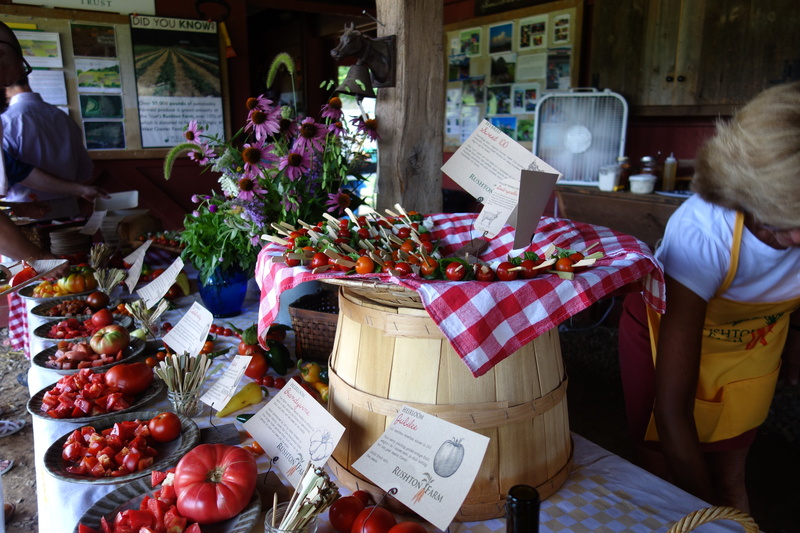 We also host a tasting event, and a harvest celebration throughout the season and invite you to join us at the farm for these events.